TubeNet • View topic - Wessex Prices! 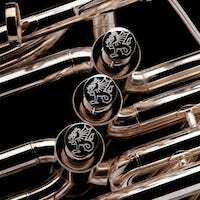 I will give you a little advance warning that Wessex Tubas’ prices on most products will have to increase before the end of June, particularly for silver-plated instruments - so if you are on the verge of pulling the trigger on a purchase you may wish to order soon to avoid paying more. If product is not currently in stock, then price charged will still be that at the time reservation with 25% deposit is received. You should contact Steve Marcus at sales-us@Wessex-tubas.com or 616-843-6888 to make reservation.